Former Harper's Bazaar beauty editor Jhelum Biswas launched her range of skincare and hair care products last year. Made with the goodness of Bach flower remedies, aromatherapy and chakra healing, these products are gentle on the skin. From face elixirs and glow oils to honey enriched Face washes, all of Jhelum's product smell good too. My favourite of course is the Refresher Hair Mist. It is soothing and leaves my hair smelling sweet and nice. Jhelum's gift sets are great value for money and they target either your skin or hair and offer three of a kind products. The packaging. The product is so good, the packaging deserves better design. And great packaging is half the battle won. 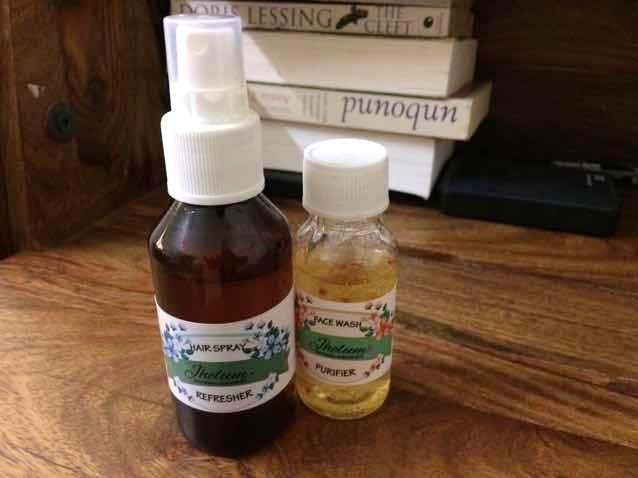 Jhelum has recently introduced a Spring Special Rejuvenator Face Oil, which is only made on order. A blend of essential oils, this face oil is meant to bring a rosy glow to your skin.